Actually, I put them up the other day but I forgot to mention it here, but all these pouches are now on the website. I think I've been having trouble keeping track of all the things on my to-do list this past week and I've neglected you, my poor sad blog. I wanted to talk to you about pricing. Pricing is complicated, there are so many variables and I want to keep things as transparent as possible so you understand why things will start to cost more. I have an unfortunately idealistic sense of business and probably ramble on when in fact no one is really that interested. You might remember I got that machine a few month back called a skiver - in short, it lets me make my work a lot better than it used to be. As a result, making things better also means making things takes longer. I have always lined pouches and that alone adds and extra step and time. 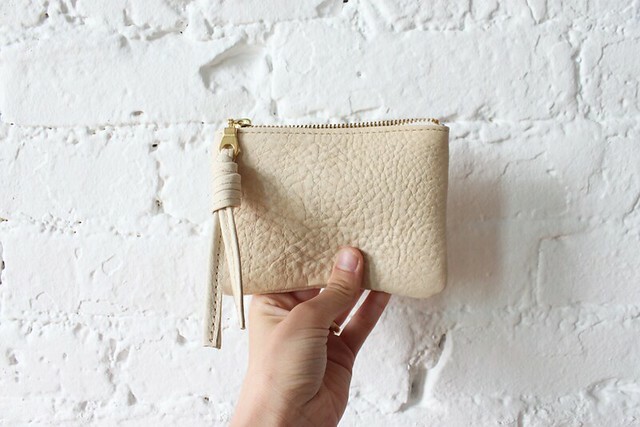 Most pouches I've made up until this point have been made from leather that is in the 3-4 oz leather range. This is usually considered upholstery weight leather and is pretty easy to work with. However, let's say I wanted to make the same pouch out of the same leather I make the Gretel Totes with - a 7-8 oz leather - I wouldn't be able to do this without a skiver. You simply couldn't easily turn the pouch right-side out after sewing it, and the pouch would never lay flat because all the seam bulk. In fact, you even get that same seem bulk with the 3-4 oz leather (this is why the corners will bulge out near the zipper ends). 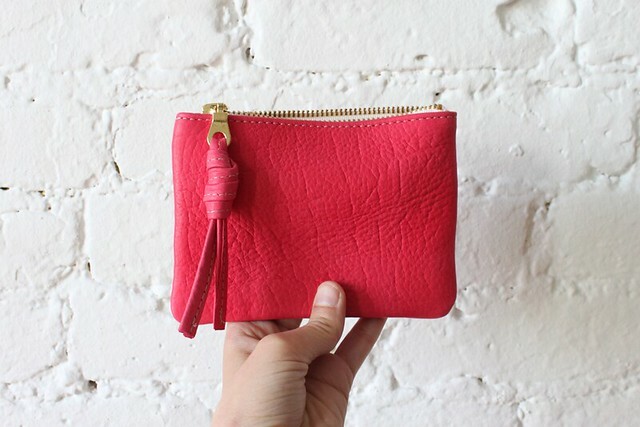 So how do you use the thicker leather to make a pouch? 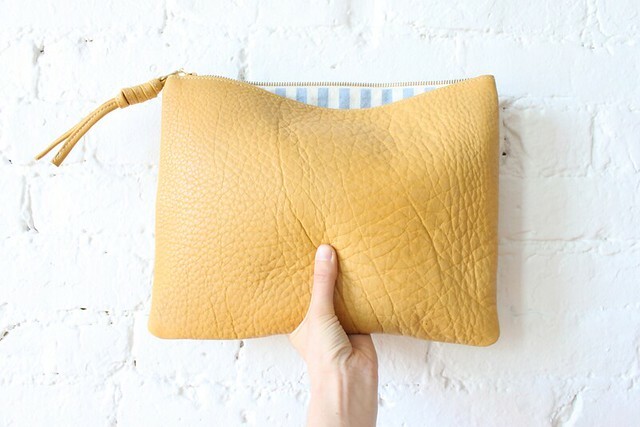 A pouch pattern piece is a rectangle, and you go around each of the four sides with the skiver and take 60-80% of the thickness off the leather 1/2-3/4 of an inch in from the edge. 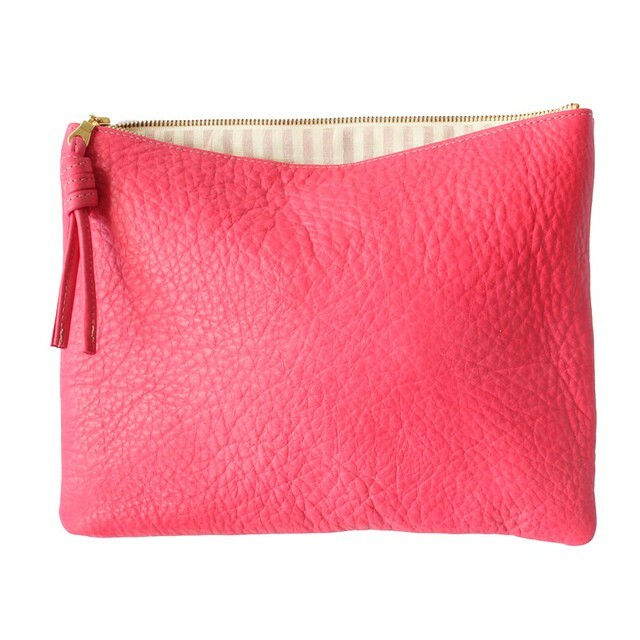 This will let the seams lay flat but the thickness of the leather will remain in tact for the majority of the pouch. Then, you fold the top edge near the zipper down with ease to create a folded seam as opposed to a raw one. That folded edge gets glued in place so it does not stretch while sewing. (Most leather stretches while sewing and it's one of my biggest pet peeves). These are the kinds of little steps and things that make a much better product, but they take a lot more time. And the same thing is true with factories, it's just on a larger scale. I could cut corners. Totally. I could keep having raw edges & I could start to not line most of my products. I have done a lot of market research - and I wanted to share some of these things with you. I guess I would call this me trying to "educate" people about the costs of why certain things cost more than other things. While looking at LOTS of different bags out there, I found there were three factors into price (aside from brand desirability). 1. Where is the bag made? If it's made in the country of origin where the brand is located, it will almost always cost more than bags made overseas. Unless its a luxury line, then the bag is expensive regardless. 2. Is the bag lined? If it is lined, what kind of fabric is it lined with? If it's not lined, what kind of leather is it? Yes, there is a big trend now with unlined bags. 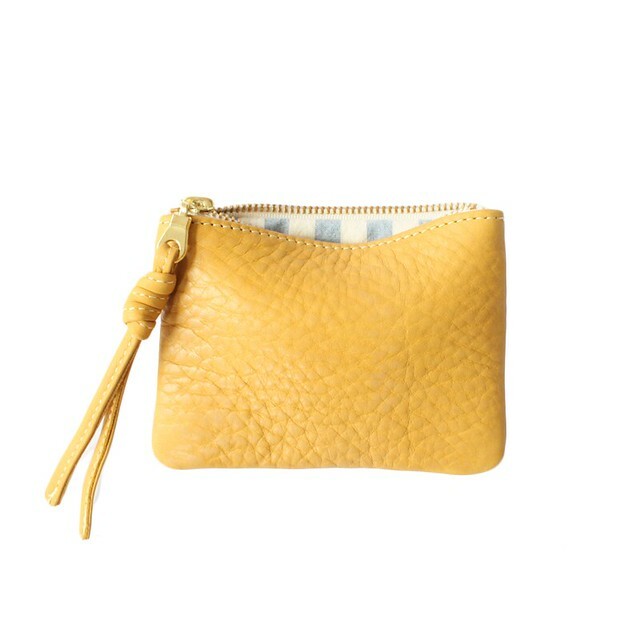 And these bags can be beautiful and classic, but they need to be made from a high quality leather. 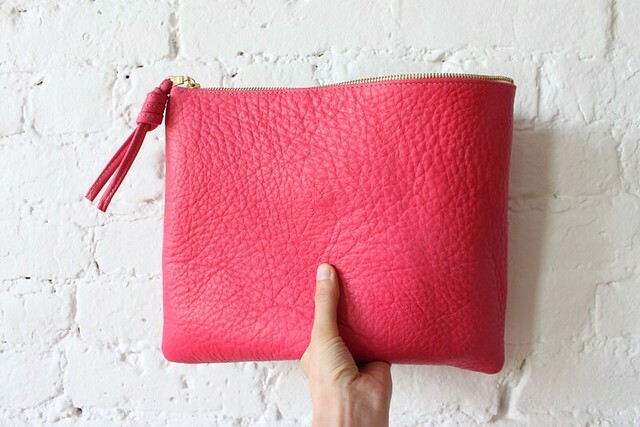 If a bag is made unlined, depending on the finishing techniques, it is *much* cheaper to make. There are many beautifully made unlined bags out there that have great finishing techniques and are worth every penny, but more often I see unlined bags in person that are not well finished and that's why they cost less money. And, a lot of the times if a brand does decide to line bags it's with and inexpensive canvas. I was in Barney's at some point recently oogling over the Celine bags, and I was looking at the inside of the trio cross body bag and was really shocked that it was lined with this grey melange jersey fabric that looked unfinished, it kind of reminded me of if you were looking at the shoulder pads of a blazer without there being any lining. But yes, adding a lining often costs more money (more complicated pattern = more pattern pieces = more materials = more things to sew= higher cost). Raw Edges : Nothing is done to treat the edges of the leather, it is left as it was cut out. Painted Edges : A coat of paint / laquer is applied to all the raw edges and then slightly polished. This keeps the raw edges from shedding. Over time and use, sometimes this coating can peal off. Often things like this can only be done in bigger factories. Folded Edges : The edges are thinned down with a skiver and then folded over so none of the suede side of the leather is visible. This can also incorporate things like piping, etc. Raw edges are often the most affordable option, they don't require extra finishing work, and if you are using a high quality leather it looks great, but if you are using a cheaper leather, not so much. Most often if you go into a store you will likely see painted edges, which essentially are raw edges that have been treated. This costs a little bit more but not much more, and depending on how it's done the bag can be made to look kind of cheap. A lot of the Alexander Wang duffle bags have painted edges and I think it really makes them look really cheap and plastic-y. Burnished edges are one of my favorites, but you often only see that from smaller workshops/labels because it is often all hand done and takes a lot of time but you get a really smoothed, natural, and polished surface. Folded edges take the most amount of time to do, and next to burnished edges, are the best & highest quality (depending on the type of product). The product will last a long time and the edges will never wear down or fray. Everything that I'm having made at a local factory is 1. Made in Massachusetts, 2. Lined with high quality natural fabrics like cotton and linen, and 3. Have folded edges. Most of the things I make are 1. Made by me (duh), 2. Lined with linen and cotton, and 3. Have folded edges or burnished edges. So a lot of the time when you might be comparing two different bags and wondering why one costs more, you might really be comparing apples and oranges. Just some food for thought.